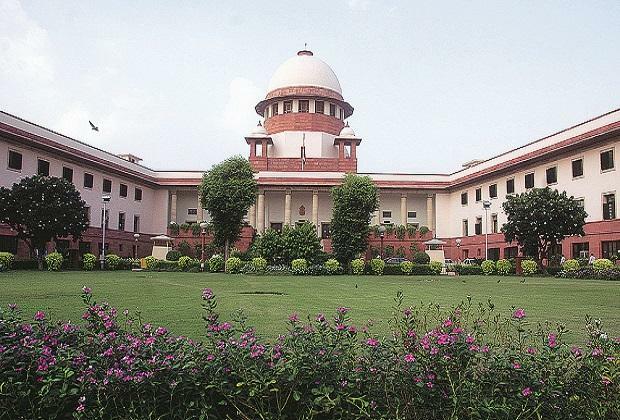 The Supreme Court has found "no grounds" to recall its judgement rejecting the plea seeking reinvestigation into the alleged "larger conspiracy leading to" the assassination of Mahatma Gandhi. The apex court refused to take into account the plea in the review petition that claimed that "fresh" documents and evidence would clear the air in the matter. "We have carefully gone through the review petition and the connected papers filed therewith. We do not find any ground, whatsoever, to entertain the same. The review petition is, accordingly dismissed," a bench comprising Justices S A Bobde and L N Rao said in a recent order. Mumbai-based researcher Pankaj Phadnis had filed a petition asking the apex court to peruse some books and a forensic report of the photographs of wounds on the body of Gandhi to decide the need for fresh probe into his killing. The Supreme Court had rejected his earlier plea for re-investigation into the assassination on March 28, 2018. In the fresh plea, he had given reference from two book -- "Who Killed Gandhi" by Lourenco de Salvador written in 1963 and "India Remembered" by Pamella Mountbatten, daughter of the then Governor General Lord L. Mountbatten. He had claimed that examination of the two books would lead to conclusion that the person/persons in the highest echelons of power, were "complicit" in the murder of Gandhi. In the plea, he claimed that he had obtained a report of a well known expert in the United States who has categorically confirmed that four wounds were visible on the chest of Gandhi in the photograph obtained by him from the National Gandhi Museum, Delhi and which had been published on January 31, 1948 by a prominent newspaper and has been on display for the last 70 years in the museum. Phadnis, who is also the trustee of Abhinav Bharat Charitable Trust, filed the petition seeking recall of the March 28 verdict by which the apex court had rejected his attempt to get the probe into Gandhi's death reopened, saying it would be an exercise in futile. The petitioner claimed that the apex court only relied on the submission of a senior advocate, who was appointed as amicus curiae in the matter, and his reply to the amicus' report was not taken into account. Mahatma Gandhi was assassinated on January 30, 1948 and nine accused were tried for the conspiracy and murder. A trial court on February 10, 1949 convicted seven accused and acquitted one. One of the accused is absconding. The petitioner had questioned the 'three bullet theory' relied upon by various courts to hold the conviction of Nathuram Godse and Narayan Apte, who were hanged. He had contended that there was need to examine whether there was a fourth bullet, which was fired by someone other than Godse. Vinayak Damodar Savarkar was given benefit of doubt due to lack of evidence.